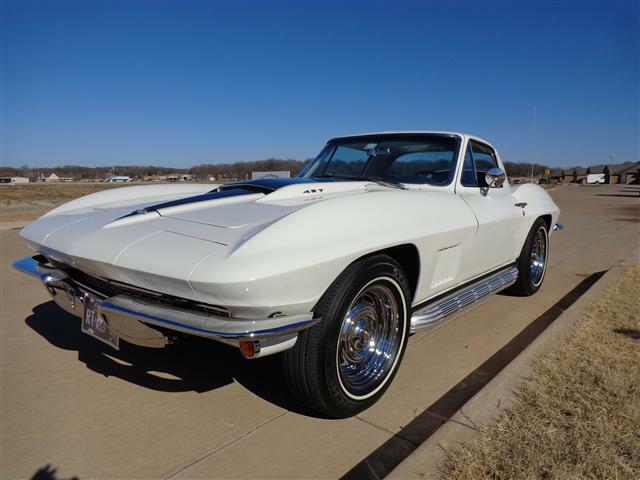 This beautiful Ermine White 1967 Chevrolet C2 Corvette belongs to Doug and Linda Carlson of Perkins Oklahoma. Doug brought the Stingray to the Oklahoma Territorial Plaza on this beautiful winter's day to let us look it over. 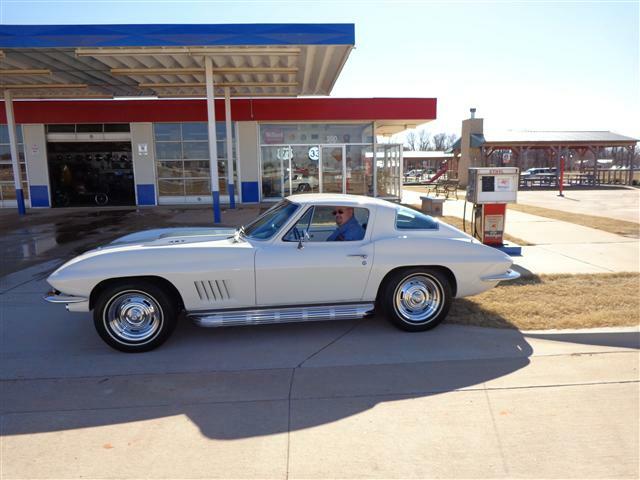 Doug fell in love with the classic Corvette Coupe the first time he laid eyes on it at a stop light in Stillwater. Doug loved the sounds of the big block as well as the classic Corvette Stingray looks. It was love at first sight! It seemed every few days Doug would see the classic and the more in love he became. Then the big day came when the classic Corvette had a “For Sale” on it and that was all Doug needed, he had to have it! The Corvette belonged to a Perry, Oklahoma used car dealer’s son who was living in Stillwater. 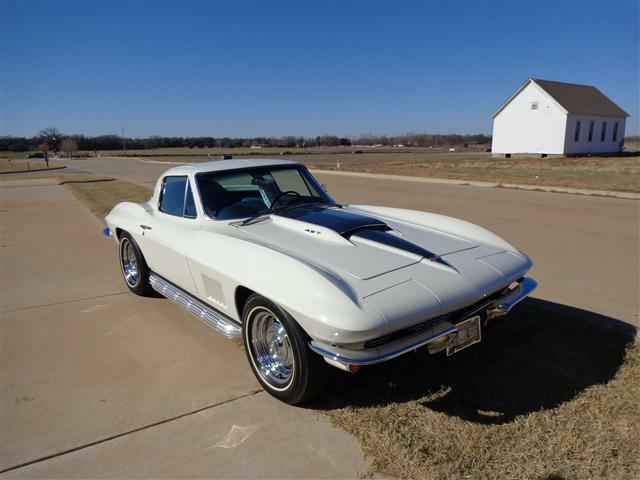 Doug purchased the classic Corvette in 1981 and began a thirty two year love affair. 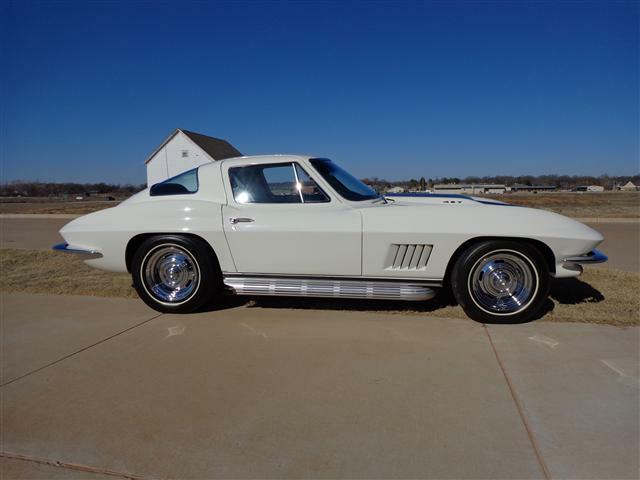 While doing a title search it was discovered the classic Corvette was ordered and delivered to a dealer in Kansas City Missouri. It was sold to a person in Enid, Oklahoma. In the mid 70’s, the car was stolen by a couple of teenagers. The Corvette was found upside down in a muddy field just outside of Enid. Due to the mud and water in the field, the only damage was a broken windshield! 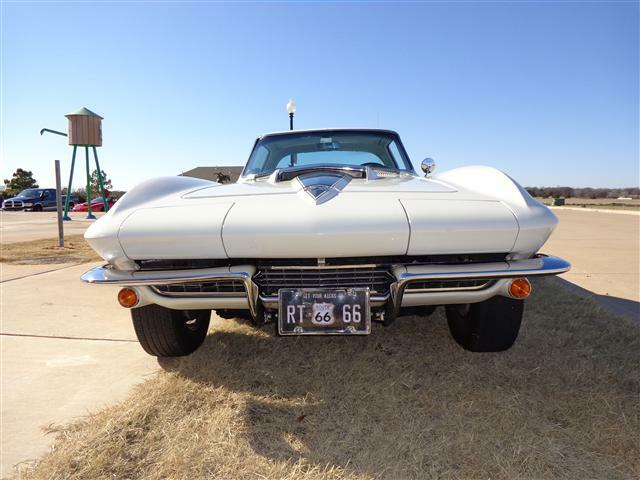 When purchased the Corvette had a big cam and carburetor to feed it, which made it hard to drive on the street. 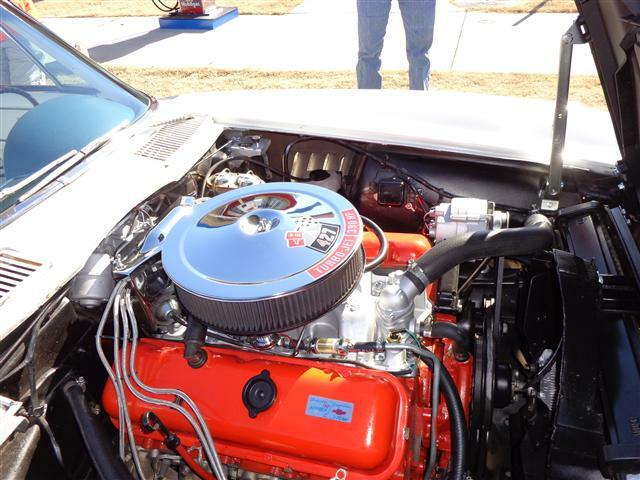 Doug installed a milder cam that made for easier cruising and enjoyable driving of this classic Chevrolet. The original 427 was replaced with a 454 but as you can see they look identical to the untrained eye. 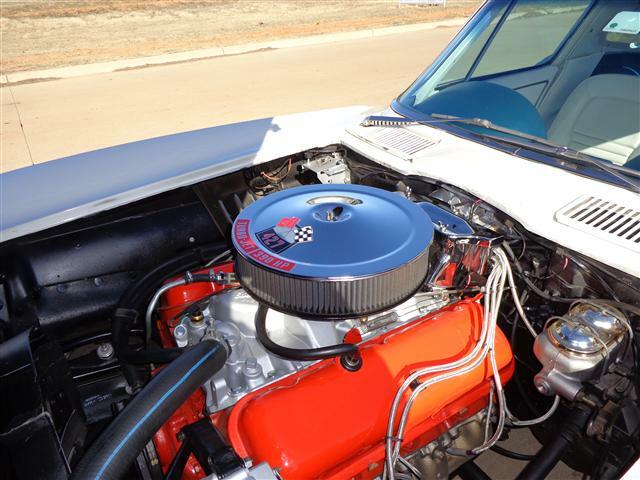 The Chevy big block puts out over 390 horsepower and over 400 pounds feet of torque. Notice the detailed and clean layout of the engine bay. 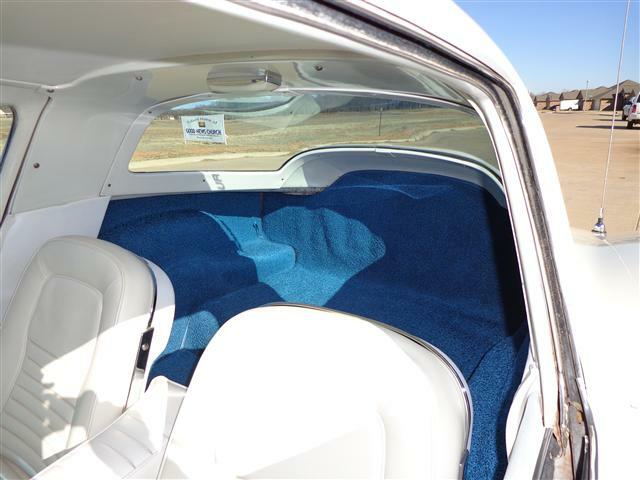 The carpet and upholstery were replaced this past year which has brought the interior back to new appearance. 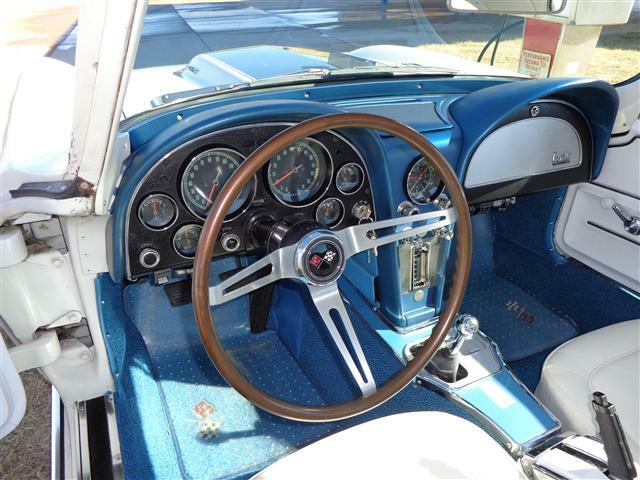 The striking white and blue interior color combination is truly eye catching. The C2 Corvette Stingray sets on classic fifteen inch GM Rally Wheels and Michelin radial tires. 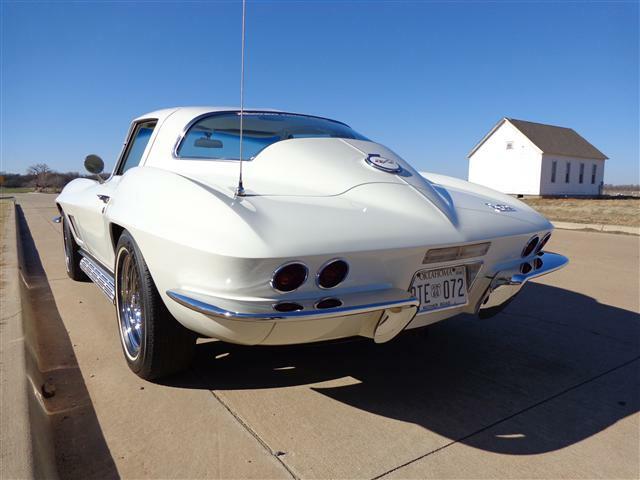 Doug replaced the original four speed with a five speed overdrive transmission which makes the classic Corvette much better on fuel consumption during those long trips. The RPMS now run about 2000 at seventy miles per hour. This is not a trailer queen; Doug drives the car often and is planning on the Route 66 Trip to Los Angeles this year. Doug is considering installing a vintage air-conditioning unit due to the hot Oklahoma summers which will add to the driving fun of this classic. Doug is still as passionate after thirty two years about his grand Corvette, as when he first laid eyes on it in 1981! 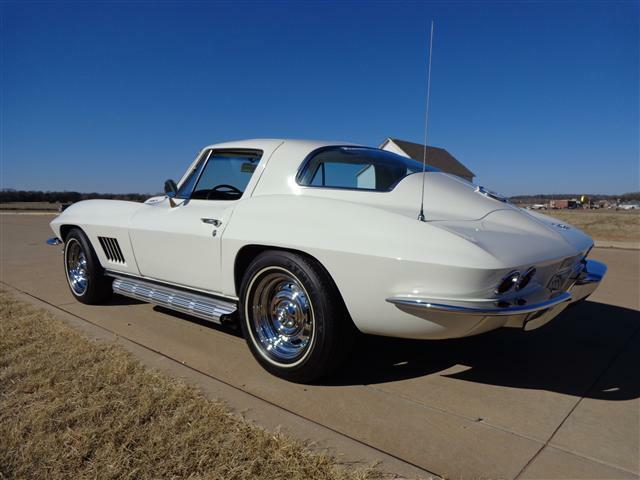 This classic 1967 Corvette Stingray Coupe will be in the Carlson’s family forever. 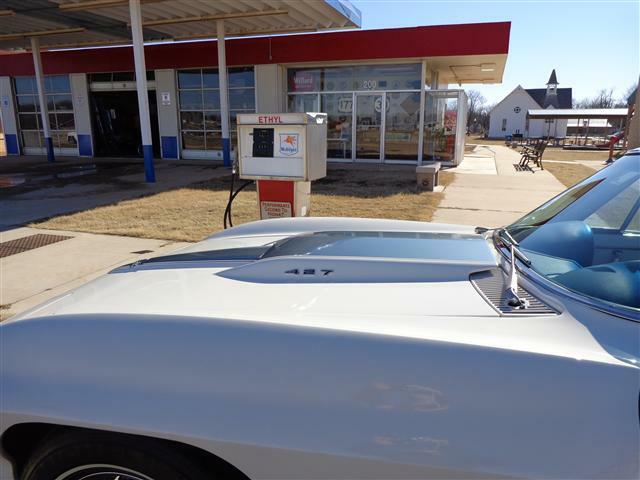 The Cimarron Starlite Cruisers sincerely appreciate Doug and Linda Carlson for sharing their classic 1967 Chevrolet Corvette Coupe as our Great Oklahoma Classic for February 2013!